WASTE TO ENERGY ON MAUI -- HOW MUCH WILL IT COST? Maui's proposed waste-to-energy plan has been touted by proponents as a "no cost to Maui" solution to our landfill diversion and renewable energy issues. This will supposedly be accomplished by Anaergia Services Inc., the contractor. Under the terms of an "Agreement" between Anaergia and the County of Maui Anaergia will site, build, own and operate materials recovery facilities, anaerobic digestion facilities and equipment designed to produce a refuse derived fuel for use on Maui or another location. 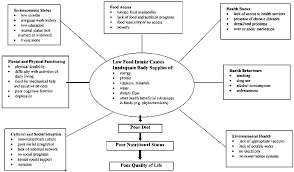 Many of the provisions in the County/Anaergia plan seem problematical to many on Maui. However, there is one program/idea that is nearly universally approved -- islandwide curbside recycling. Whether we recycle it, bury it, burn it or rocket it into outer space everyone agrees that curbside pickup or recyclables is an idea whose time has come. Curbside pickup involves individuals in a positive environmental action. It is easy to day and provides instant positive feedback. Being a recycler leads us to other positive environmental activities -- probably the single most effective method to enlist millions in the campaign against global environmental problems. Here on Maui we have already conducted a successful pilot curbside recycling project. Read about the results here. The plan used in the pilot project is ready for islandwide implementaion. See the plan details, schedule, budget, etc. here. Finally, many Mauians do not understand how the Administration's claim of a "no cost to Maui" program can be accomplished. Analysis of the figures and operational plans yields a different, and confusing, story. To judge for yourself here are two spreadhseets detailing our analyses. community interest and importance of this topic. Below are links to all pages and topics in our site. 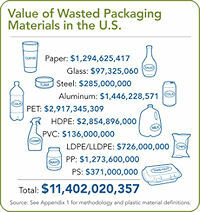 How crazy is it that the US landfills $11.4 billion in recyclable packaging materials every year? Plenty crazy. From cardboard shoe boxes to plastic detergent bottles, from Styrofoam fast food containers to cardboard egg cartons, from metals to those ubiquitous PET water bottles, our landfills are filling up with recoverable, recyclable packaging materials while driving up the cost of virtually everything we buy. Like to be on our Email List and receive regular Zero Waste Campaign Maui updates? Email Us and you're on the list! STILL CONFUSED ABOUT CLIMATE CHANGE AND GLOBAL WARMING? CHECK OUT THIS NASA VIDEO.